Cyclist Lance Armstrong’s team ran “the most sophisticated, professionalised and successful doping programme the sport has ever seen” according to a report by the United States Anti-Doping Agency (USADA). 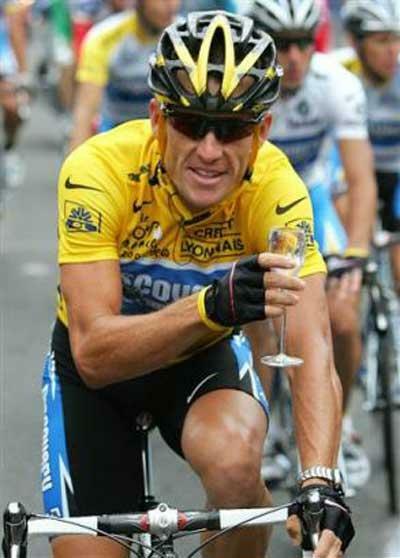 USADA says it will deliver the full report in the doping case against Lance Armstrong, 41, later on Wednesday. It contains testimony from 11 of his former US Postal Service team-mates. Lance Armstrong has always denied doping allegations but has not contested USADA’s charges. USADA chief executive Travis T. Tygart said there was “conclusive and undeniable proof” of a team-run doping conspiracy. The organisation will send a “reasoned decision” in the Armstrong case to the International Cycling Union (UCI), the World Anti-Doping Agency (WADA) and the World Triathlon Corporation. The UCI now has 21 days to lodge an appeal against USADA’s decision with WADA or they must comply with the decision to strip Armstrong, who now competes in triathlons, of his seven Tour de France titles and hand him a lifetime ban. Lance Armstrong, who overcame cancer to return to professional cycling, won the Tour from 1999 to 2005. He retired in 2005 but returned in 2009 before retiring for good two years later. In his statement, Travis T. Tygart said the evidence against Lance Armstrong and his team – which is in excess of 1,000 pages – was “overwhelming” and “and includes sworn testimony from 26 people, including 15 riders with knowledge of the US Postal Service Team and its participants’ doping activities”. Travis T. Tygart revealed it contains “direct documentary evidence including financial payments, emails, scientific data and laboratory test results that further prove the use, possession and distribution of performance enhancing drugs by Lance Armstrong and confirm the disappointing truth about the deceptive activities of the USPS Team, a team that received tens of millions of American taxpayer dollars in funding”. He also claimed the team’s doping conspiracy “was professionally designed to groom and pressure athletes to use dangerous drugs, to evade detection, to ensure its secrecy and ultimately gain an unfair competitive advantage through superior doping practices”. Among the former team-mates of Lance Armstrong’s to testify were George Hincapie, Tyler Hamilton and Floyd Landis, who was stripped of his 2006 Tour de France title for failing a dope test and was recently found guilty in a Swiss court of defaming the International Cycling Union for alleging they had protected Lance Armstrong from doping claims. Travis T. Tygart said: “The riders who participated in the USPS Team doping conspiracy and truthfully assisted have been courageous in making the choice to stop perpetuating the sporting fraud, and they have suffered greatly. “I have personally talked with and heard these athletes’ stories and firmly believe that, collectively, these athletes, if forgiven and embraced, have a chance to leave a legacy far greater for the good of the sport than anything they ever did on a bike. “Lance Armstrong was given the same opportunity to come forward and be part of the solution. He rejected it. USADA confirmed that two other members of the US Postal Service team, Dr. Michele Ferrari and Dr. Garcia del Moral, also received lifetime bans for their part in the doping conspiracy. Three further members, team director Johan Bruyneel, a team doctor Dr. Pedro Celaya and team trainer Jose Marti, have chosen to contest the charges and take their cases to arbitration. Travis T. Tygart also called on the UCI to “act on its own recent suggestion for a meaningful Truth and Reconciliation programme”. “Hopefully, the sport can unshackle itself from the past, and once and for all continue to move forward to a better future,” he added.